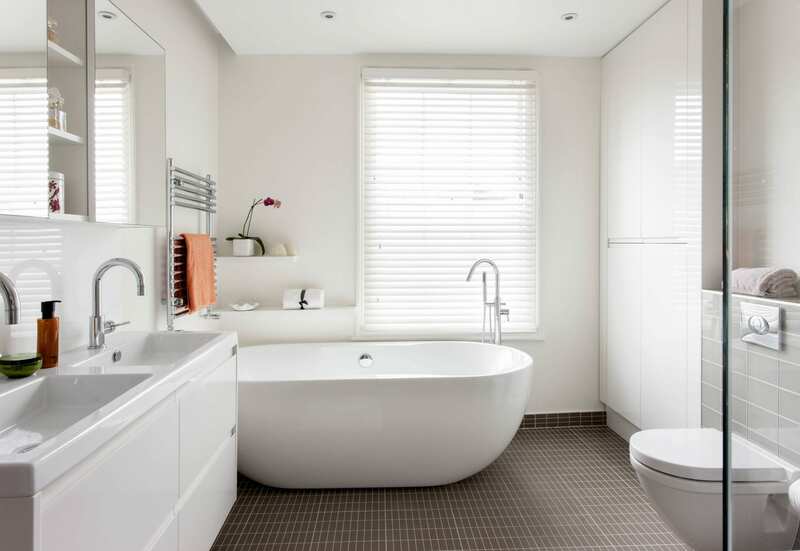 The design of the house is very clean and light, with warm touches of wood and other natural materials. 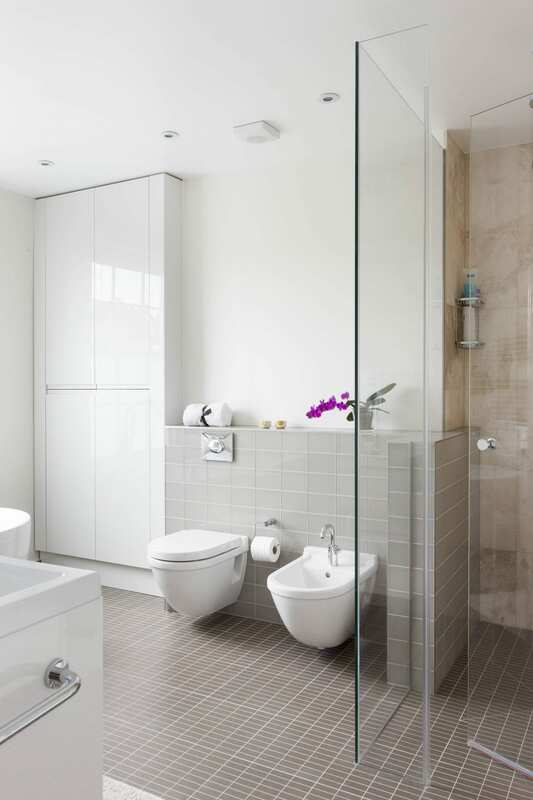 There are two other bathrooms in the house so to keep with the overall style we created a clean and neutral bathroom with modern appliances. 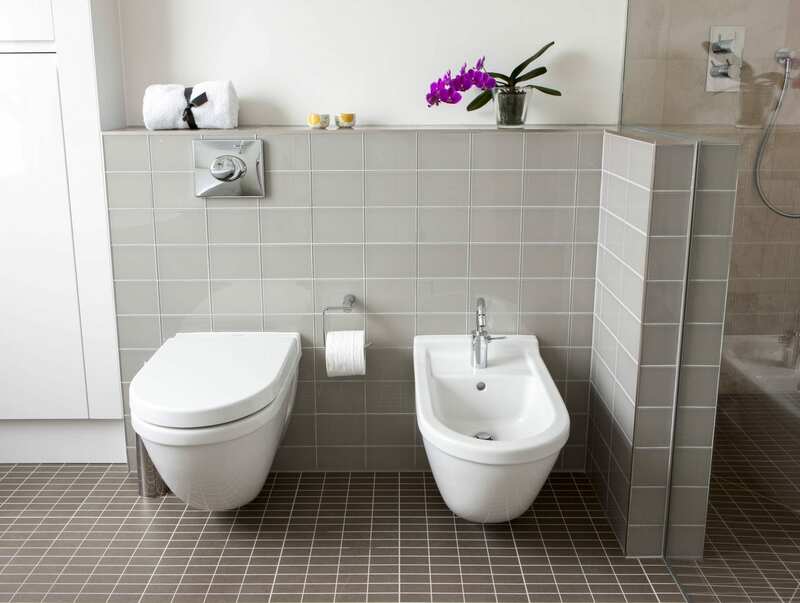 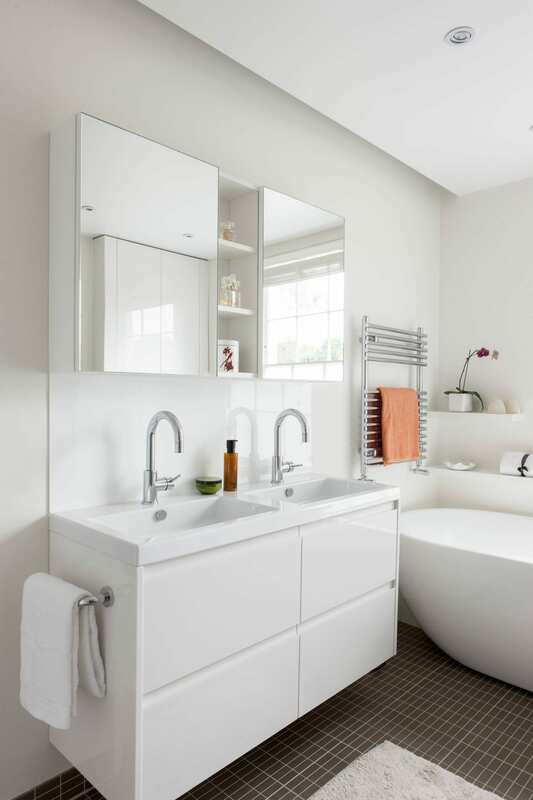 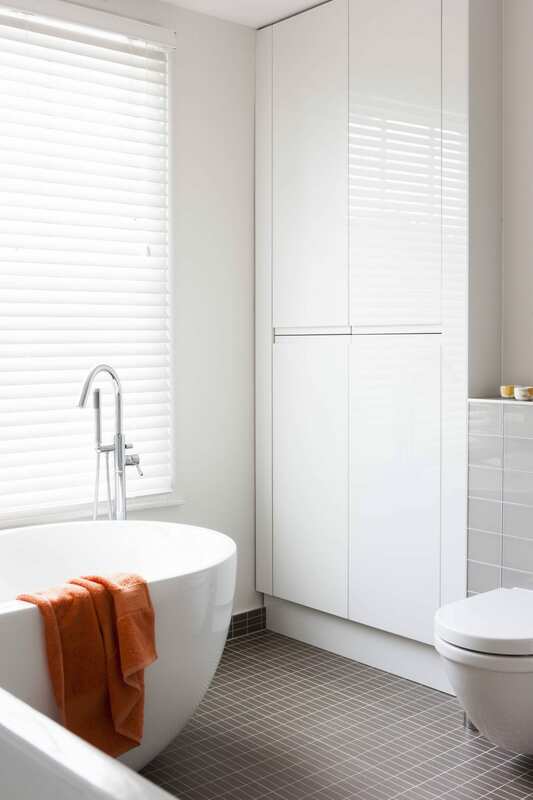 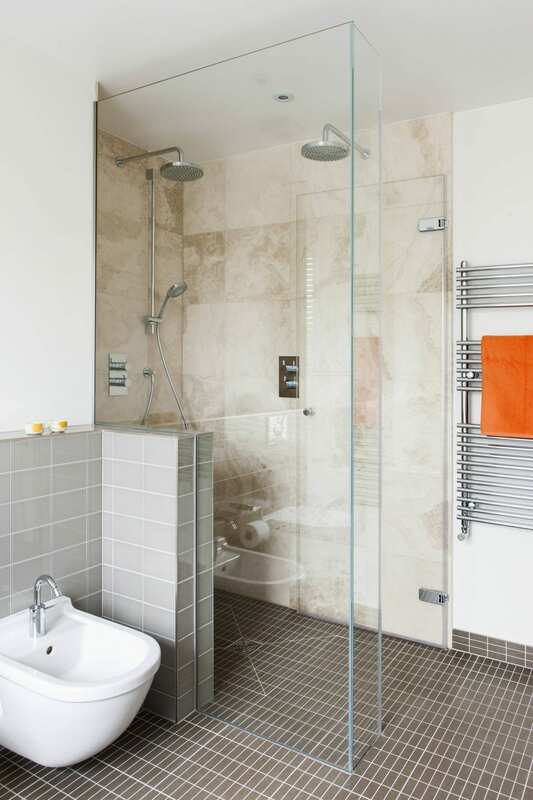 We used surface finishes similar to those in the other two bathrooms to maximise the effect. 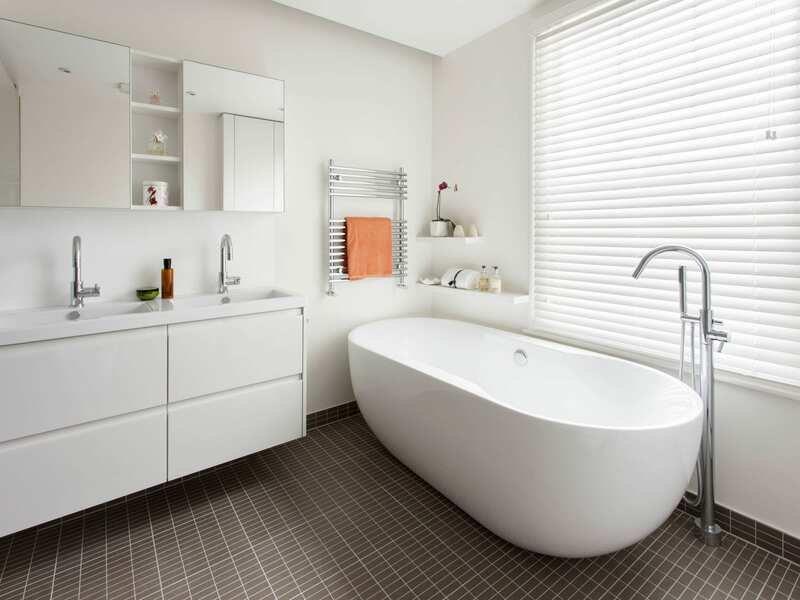 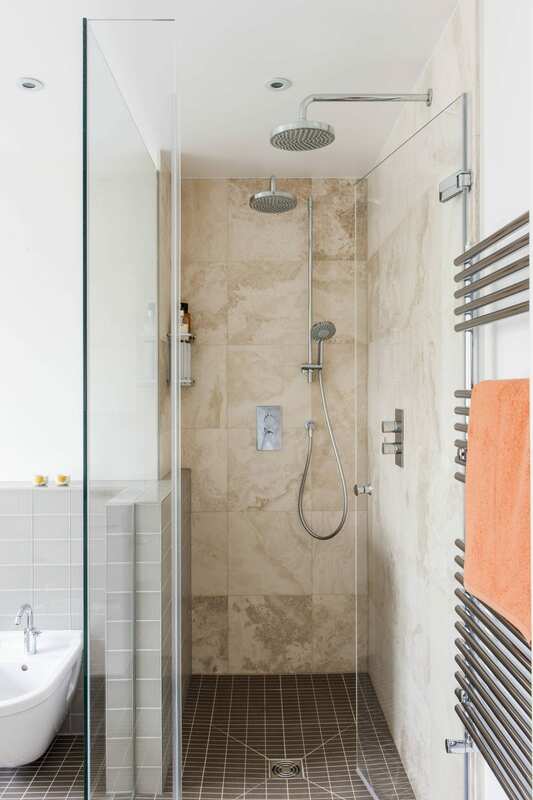 This bright master bathroom features a steam shower and a free-standing bath, offering flexible use of the space.